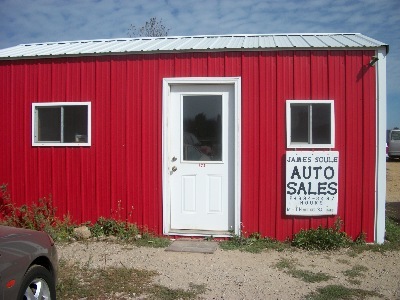 Welcome to James Soule Auto Sales. Our business hours are Monday thru Thursday 9am to Noon, 1pm to 5pm. We are located at 623 2nd Ave. NW, Staples, MN. You can reach us at 218-894-3487. Please vistit often to see our growing and changing selection of used, quality vehicles! We keep our pricing low and affordable so everyone gets the same low price without the hassle. All prices are firm.